Just 10mins from home, but I have not been to this Grand Shanghai Food Theme Park until tonight. During its launch, I thought it was a mere "street fair" which was held in Setia Walk. Hence, it was a slight surprise for me to see such a big scale of Shanghai street located inside Setia Walk Mall. Themed of the old Shanghai, the golden glorious age of Shanghai, this place was beautifully done (in my opinion). I have never been to 1930s-1950s Shanghai, but I can feel the ambiance, and the settings of this Grand Shanghai Theme Park was really befitting that era. Posters like this, were placed everywhere. It was really unique. Boasting as a food theme park, expect nothing less than unique restaurants and food stalls. Stalls were brightly lit like this cafe, or some were made of planks with waiters and waitresses wearing uniforms that depict the olden Chinese Shanghainese. I would definitely love to dine here. What an experience it will be! Bicycles and Trishaws are the featured decorations too! Very creative yo! The exciting part of all this is, there is a qipao costume rental shop here. Tourists and visitors can rent the traditional costumes, and walk around this beautiful street for photography. I find it very unique, and would love to bring my parents here. They would be fascinated at how things can be created in just a floor of a shopping mall. The whole concept of a themed food court is very refreshing by Malaysian standard. We have something similar like this in Pahlawan Shopping Center, Melaka, which was based on local Malaysian Kampung Theme. However, the response in Setia Walk was very much different than what I had experienced in Melaka. The Shanghai Street Theme was overwhelming with people! I haven't tried any of the restaurants here. Any recommendations? I didn't want to blog about this due to embarrassment. But I realised that it has been some time since I stopped writing about my kitchen adventure. During my "younger" years, I did try to post the dishes I cook, as I learn them. 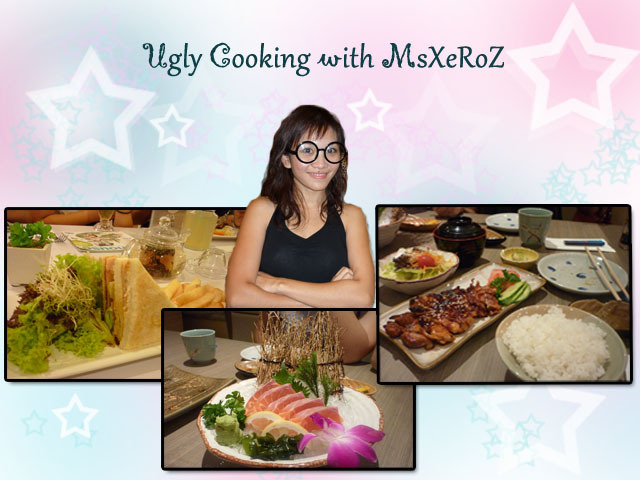 Check out my Ugly Cooking Episodes here *Flashback to year 2010*. LOL (Damn embarrassing). Ahhh.. looking back at my old blog post, I realised that I have learnt and progressed so much in the kitchen department. I am regularly cooking now, and my food, have garnered quite a number of audience *self-delusion fantasy*. Besides being seriously talkative and friendly, I have never possessed any talents. Cooking and baking is definitely not what I am born to do. My mom gave me an old electrical round, oven. Initially, I used the oven to roast some Chicken (note: never managed to get a nice-looking roasted chicken, but tastewise is OK). Then I thought I'd try to do some baking. 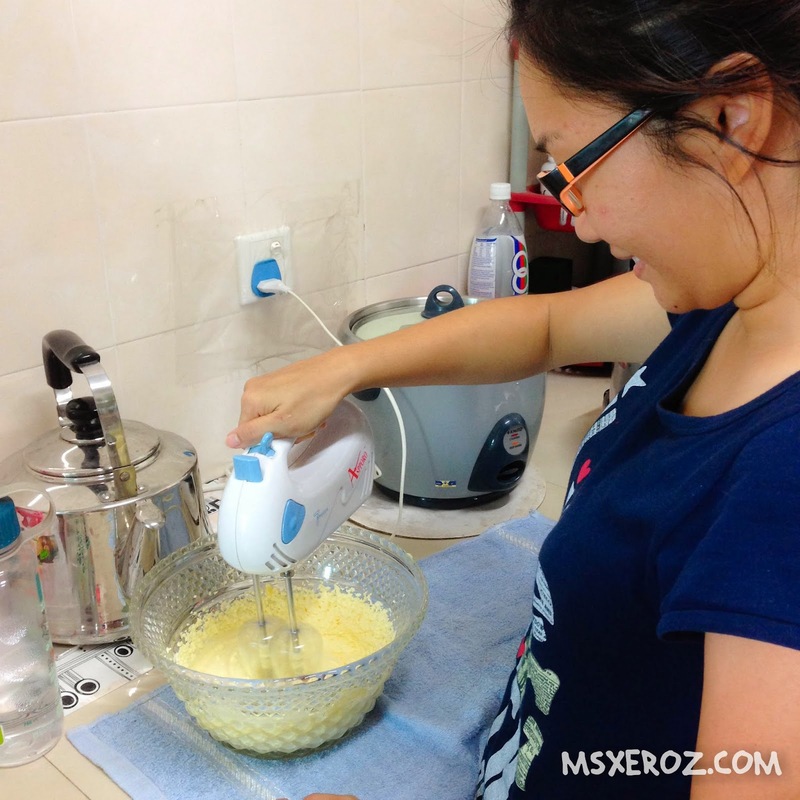 My previous history of baking was using a premix + rice cooker. 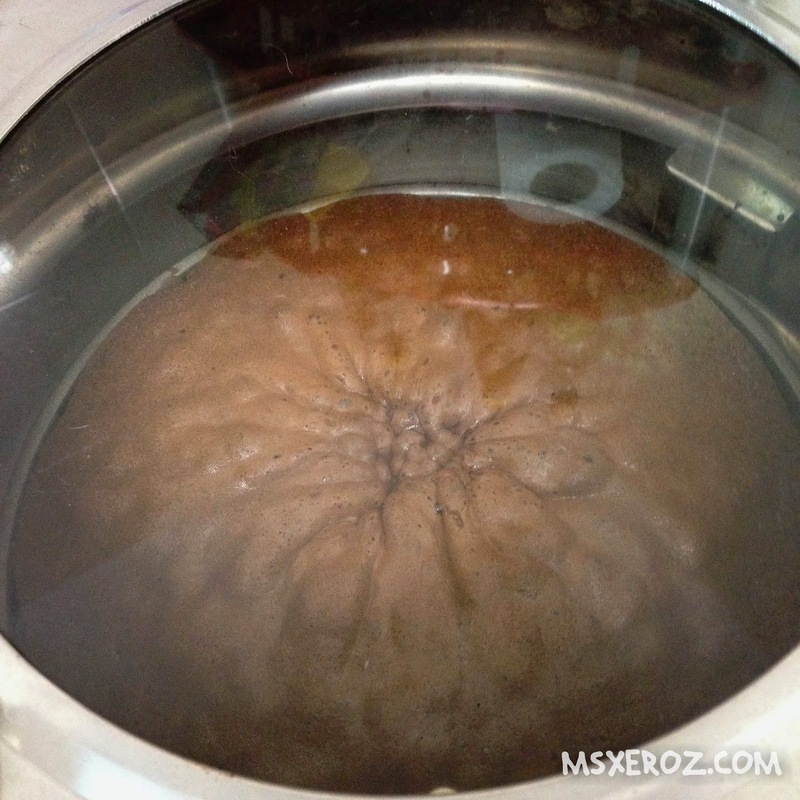 I read somewhere over the internet that rice cooker can be used to bake cakes. THE RESULT: BURNT CAKE, and smelly house (because I can't differentiate whether the cake is done or burnt LOL..moral of the story, don't bake chocolate cake if you are a noob). The second attempt, I try to make a butter sponge cake, but the recipe is too buttery...YUCKS! So, I told myself. No more premix! Mix my own ingredients and start from scratch! Before you start with Step 1, PREHEAT , and grease the oven at 180 deg C.
Step 4: add a little of milk to get a consistent drop. 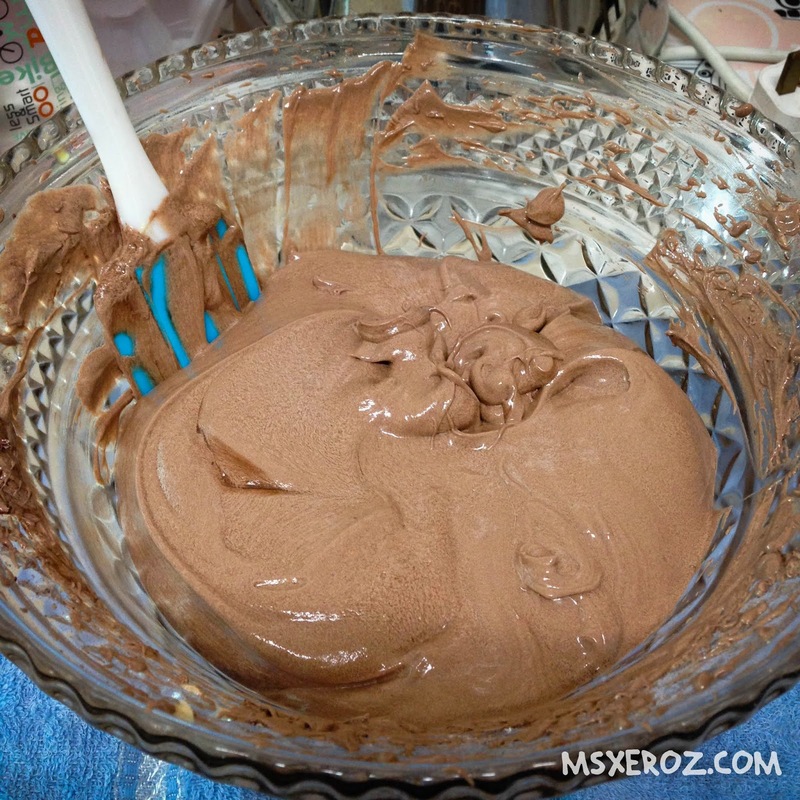 Step 5: pour the mixture into the baking pan (with baking paper), which had been greased previously. Bake for 20-30 minutes. 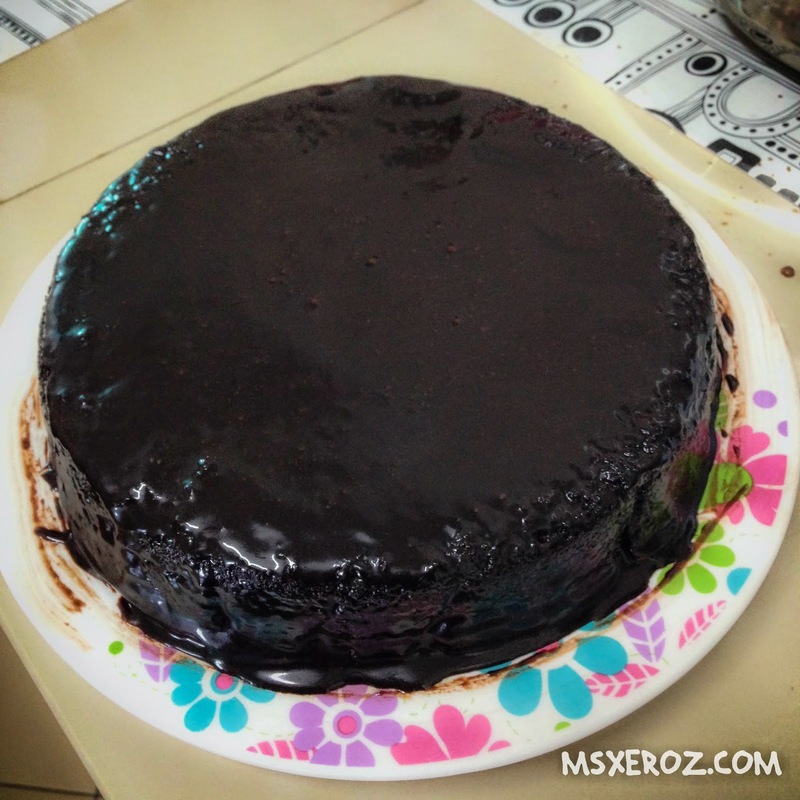 While waiting for the cake to bake, you can melt the dark chocolate + butter + icing sugar. Beat it using the mixture until it is fluffy. Ta daaaa!!! HAHAHA.... Seriously I'm so embarrassed to post this that I am gonna dig a hole and bury my head in. This must been the ugliest chocolate cake you've ever seen! But, don't underestimate my chocolate cake. It has been a best seller in my house. I baked two times of the same recipe (due to the leftover chocolate icing). A very good morning every one! Gosh, it's 12.10am and I had just took my bath, after returning home from a movie date with Nuffnang. So, I am waiting for my hair to dry, that's why I turned on my laptop and start typing. This will be a review written in memory of my beloved idol, Paul Walker. 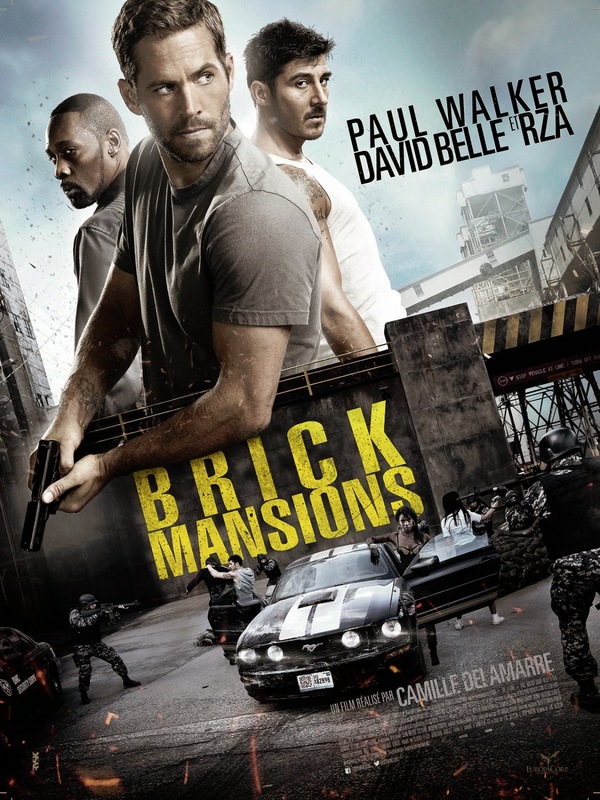 Brick Mansions is a remake (American version) of District 13. Brick Mansions is an area surrounded by brick walls as it was deemed a very dangerous neighbourhood. The residents of Brick Mansions majority consisted of thugs, robbers, addicts and all those nasty neighbours you can think of. The story begins with Lino (David Belle), one of our Hero, who is waging a one man war against the kingpin of the local drug syndicate, Tremaine Alexander (RZA). Then comes along, Damien Collier (Paul Walker), a mole/policeman/sheriff who upheld his duty as a law enforcer in anti narcotics department. It was revealed that Damien has a deep grudge on Tremaine, over his father's death. Brick Mansions is filled with action packed parkour stunts, by David Belle (one of the parkour founder). The swiftness, agility, and strength was really fascinating. To add to bonus, Paul Walker comes into the movie as a strong, athletic, capable police officer. There's so much of action that it feels like viewers are exploding from the actions itself. There's guns, bombs, rockets, fighting, vertigo inducing jumping scenes. The plot was somewhat familiar, because it is a remake of District 13 movie. The overdose of fighting scenes of cops versus the villains do remind me very much of Jackie Chan's Police Story. The core is the same - a very responsible and dedicated policeman versus the bad, corrupt and nasty organizations. Overall, it is a satisfying movie to watch. Brick Mansions was Paul Walkers final COMPLETED movie before his death in November 2013. It saddens me to see his final piece of action - to see him looking suave in coat, with brown eyes and dark hair, then remove his contact lenses and bathe, and emerge as the Golden-boy Paul Walker that we have always knew him. There's a lot of Paul Walker's goodness in this movie. You get to see him as one of the bad guys, a super incredible cop, and then a fighter! 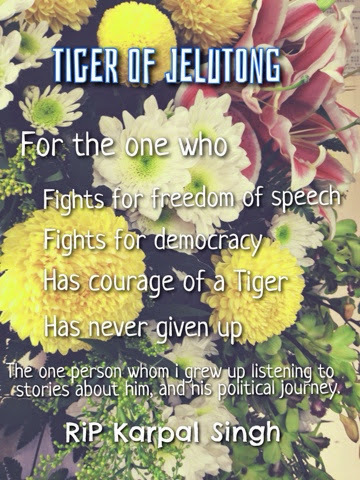 It's a sad day where I woke up and found that The Tiger of Jelutong, the one known famously for his bravery and wisdom, had passed away in a car accident. Yang Berhormat Karpal Singh was one of Malaysia's most prominent politician and lawyer. Although that he was against the government, his efforts and years of hard work, fighting to upheld the Democracy that he believed in was respected by me and many others. I pray for him and his family during this traumatic period. 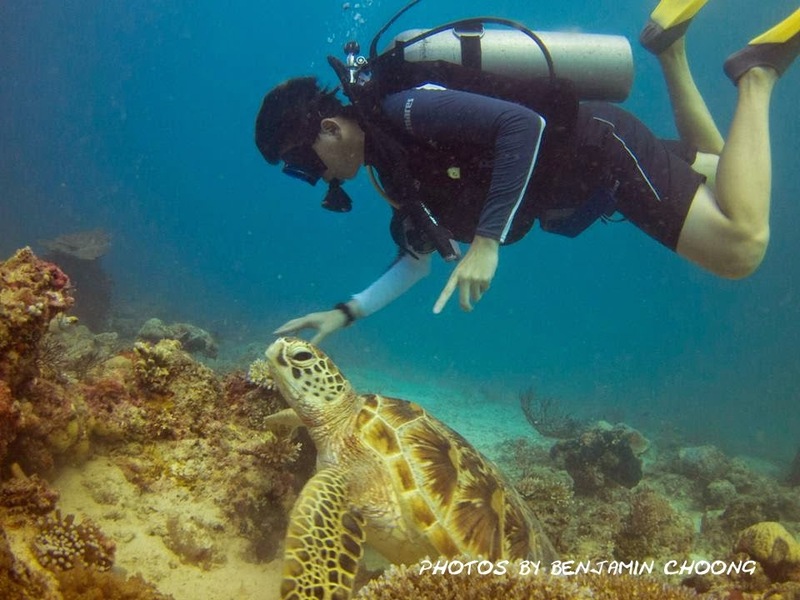 May God bless Yang Berhormat, and do Rest In Peace. Thank you for everything that you had done, to help the minority in the country. I'm so numb from my daily routine. 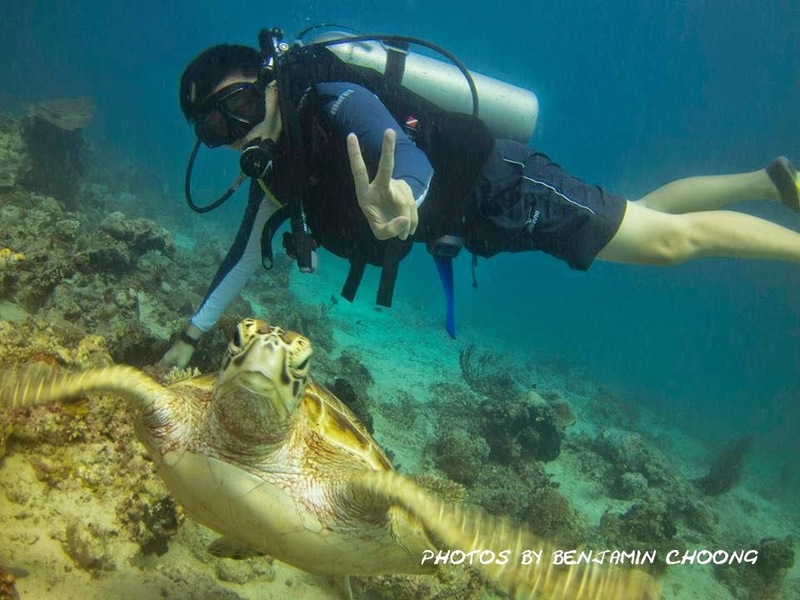 I need a holiday~!!! Come support me. Add me at Seeties (ID:@msxeroz)! You can win yourself a holiday too! There are 10 getaways available to be won. I do hope I get to go to Berembun House, The Dusun or The Happy 8 Retreat, Ipoh. Oh ya! Cameron Highlands sounds fine too!! Wish me luck ya! Let's begin with Day 3! I woke up super early again here. and managed to catch the clear blue skies. 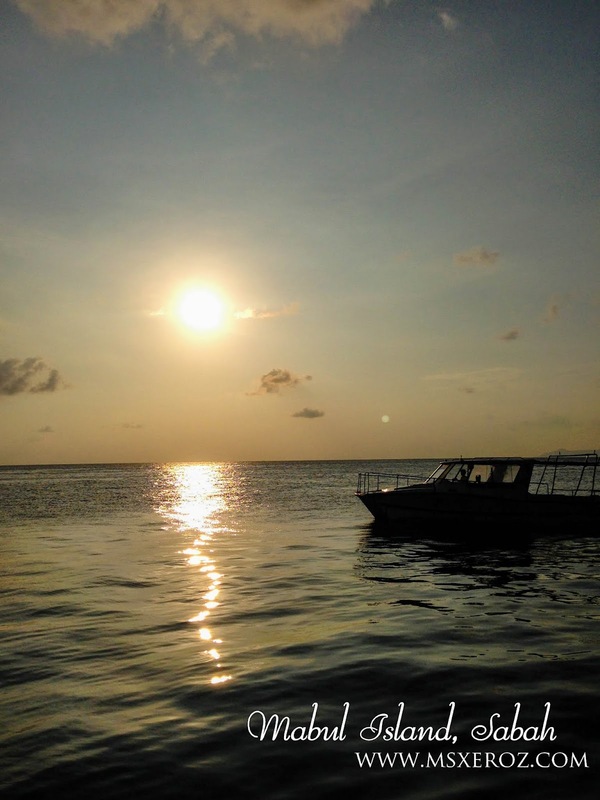 The sea gypsy (orang Bajau Laut) are all awake and you can see fishermen boats, tourist boats, and also kids boats busy rowing across our lodge. 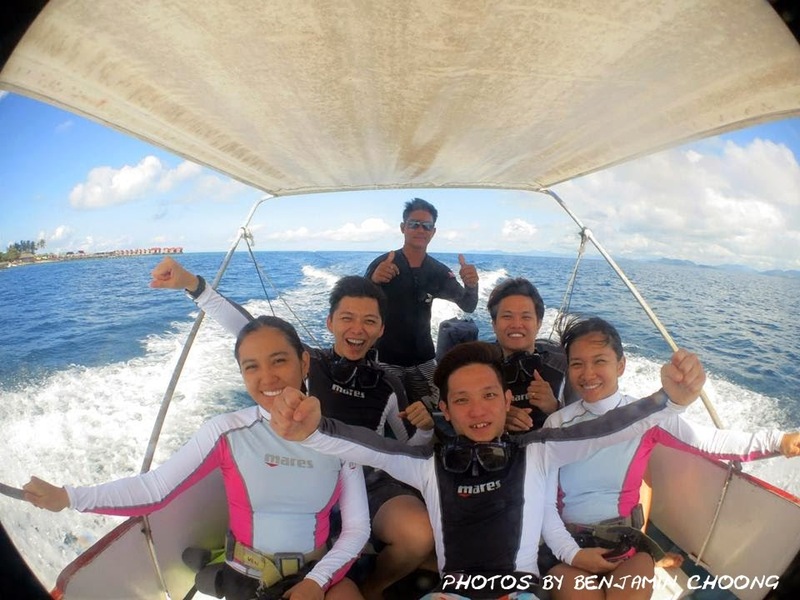 This will be our second diving day, (we missed our 1st day dive due to iLoo) and unfortunately my sister was not feeling really well. 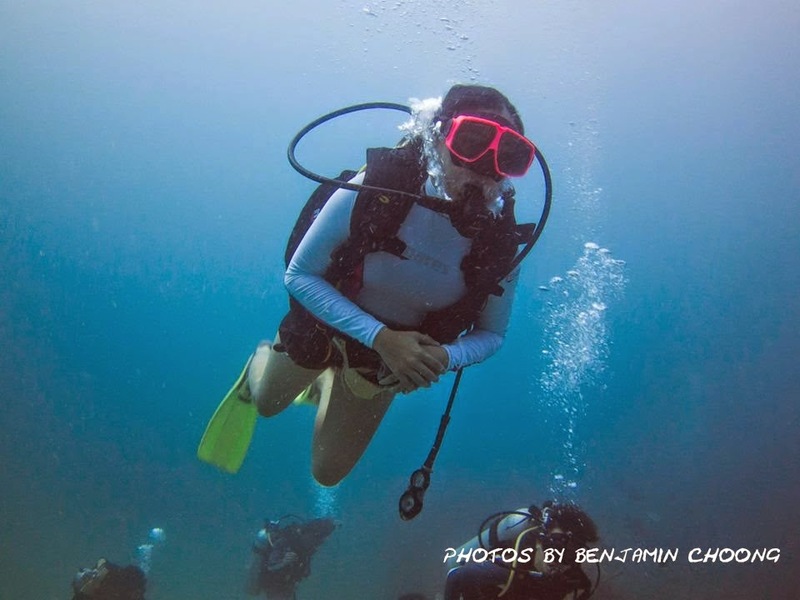 She was unable to equalize during her dive on her previous day, and hence, she had pressurized ears (telinga tersumbat), dizziness, nausea etc. So beginners, do not let panic conquer you and keep calm because if you panic, you tend to not breathe and you can't sink (air inside the lungs). Forcing yourself to descent will cause some equalization issue. 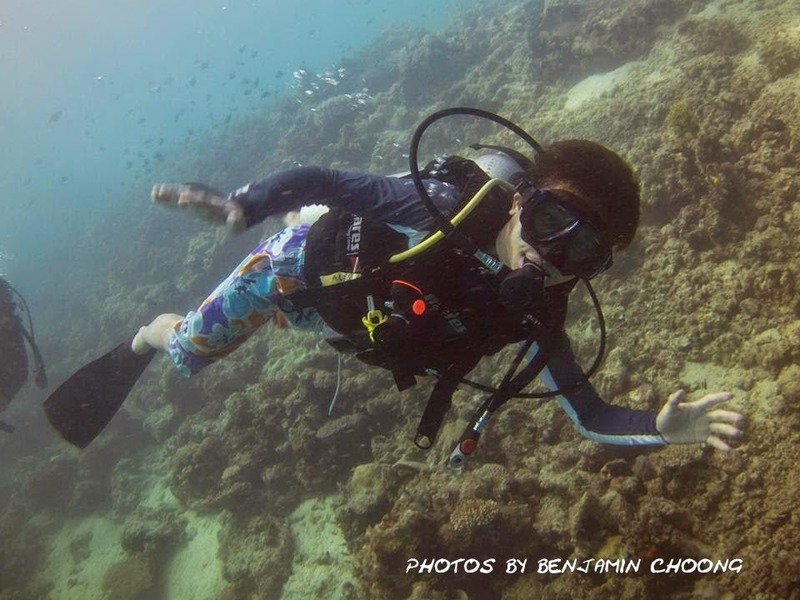 Well sisters case was minor so shemissed out two trips, and continue her dive lessons on our final day. Kid beggars was aplenty in this island. A VERY IMPORTANT RULE IS DO NOT GIVE THEM MONEY. The civilization of the locals here are less advance than what we have in peninsular Malaysia. 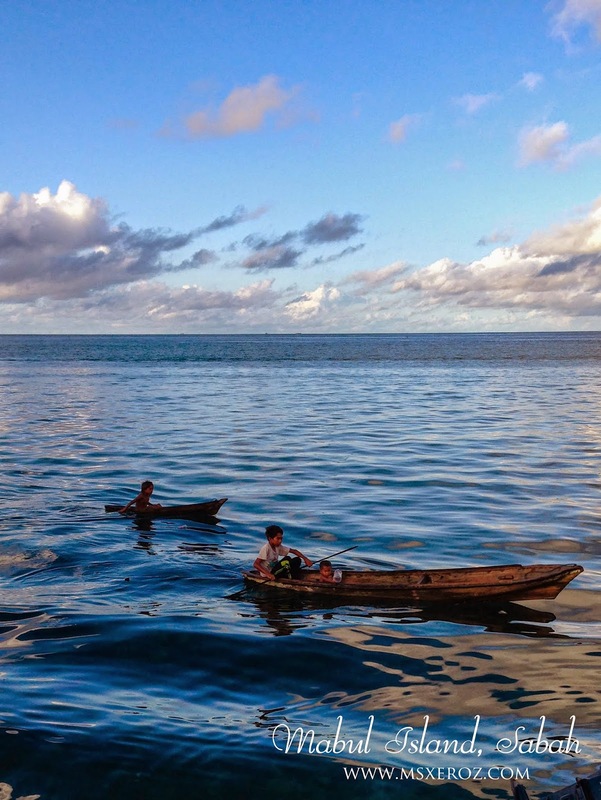 They will continue to extort money from the tourist, if it becomes a habit that tourist gives them money. This will eventually destroy the serenity and the simplicity of this place. However, if you would like to help these people survive, buy their catch of the day. 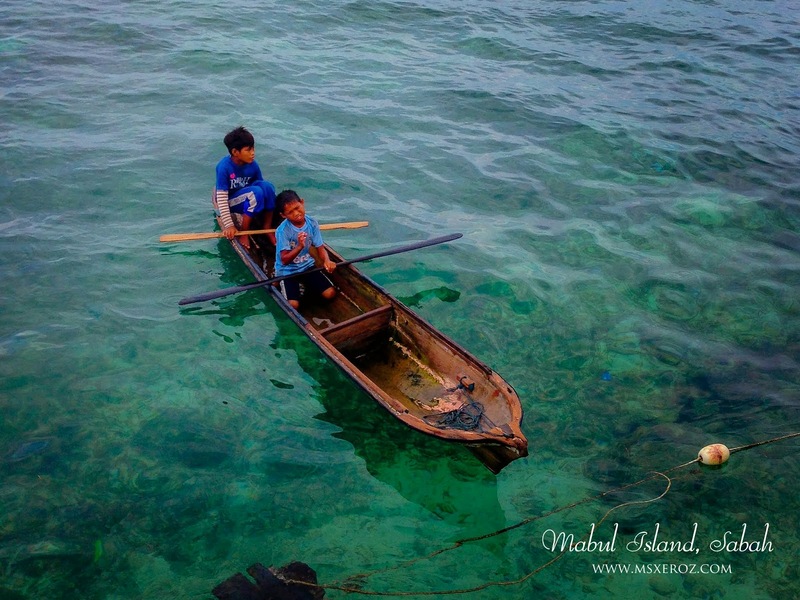 They will be very happy to supply you with fresh squids, fish, and crabs. Lobsters are available too! However, remember to get help haggling, because I've been there and seen with my bare eyes that the local fishermen attempts to charge RM80 for a 2 fishes. (Daylight robbery!!!) So, be wise. 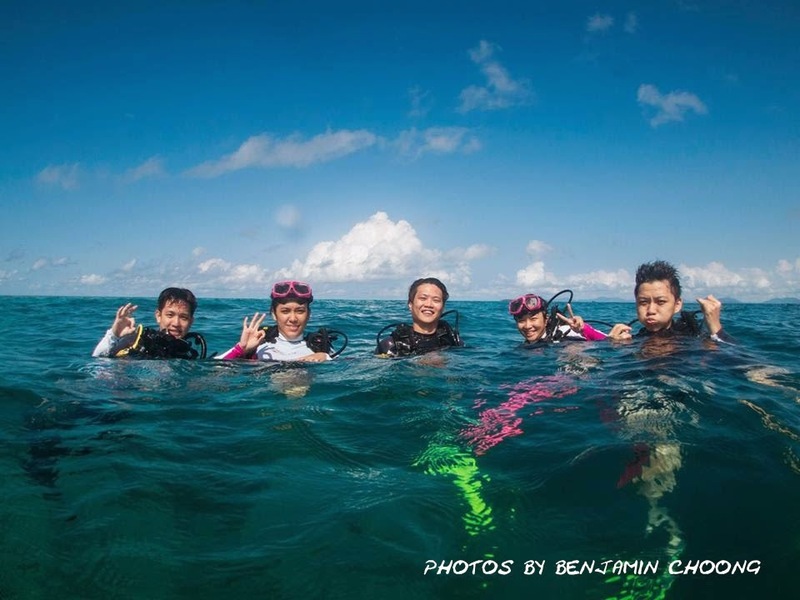 So, this very day, I had my dives at Paradise 1 (again), and then we went to Sipadan-Mabul Resort (SMART) House Reef. I really like it there. It was so fantabulous. Visibility was great, although the skies were slightly dark (it was raining somewhere else). 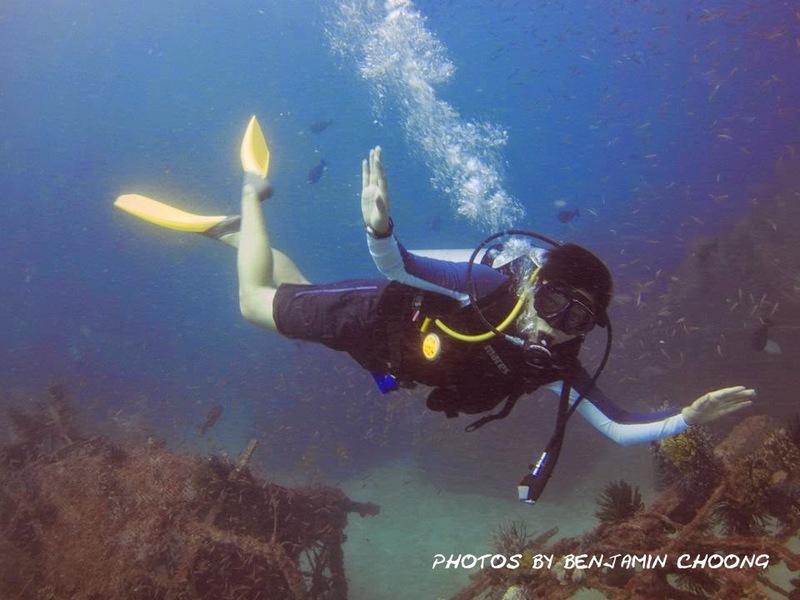 I felt thermocline as well, that certain depths I felt shivery cold and after that it became quite warm. Underneath, the view was so amazing. 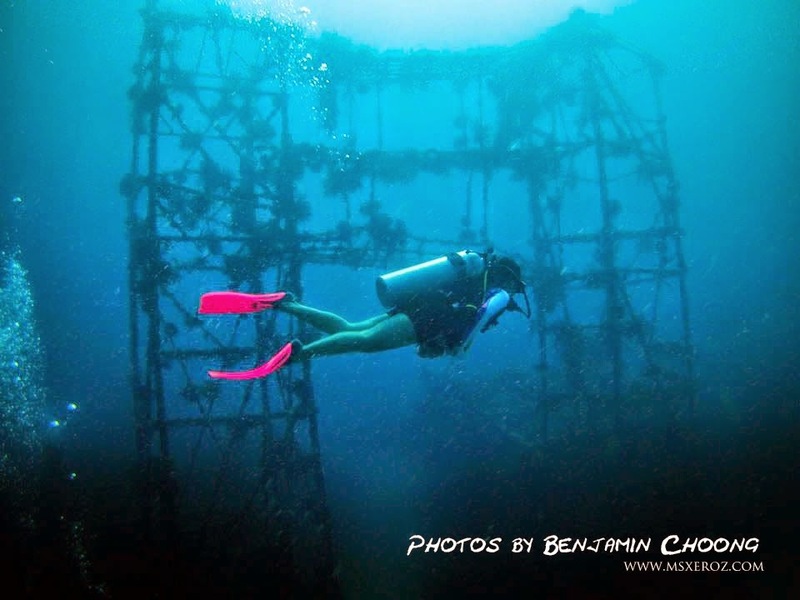 The artificial reefs were home to hundreds or even thousands of sea denizen. I really felt like I am a part of them too! Can't remember where was this..but yeah, that's me! Back to the lodge, the view of the low tide was as fascinating as heaven! The water level subside so low, that we can see so many stuff coming out of the rocks. 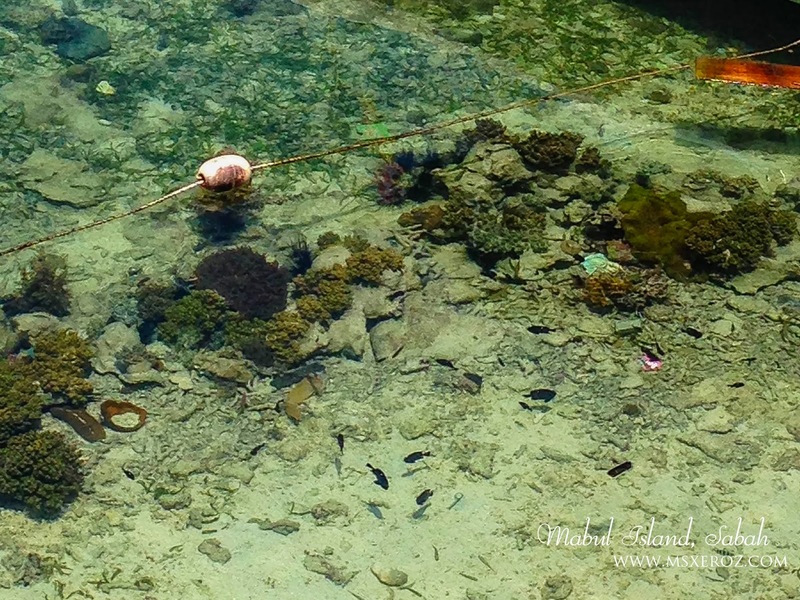 Even the anemone's tip can be seen from the surface! 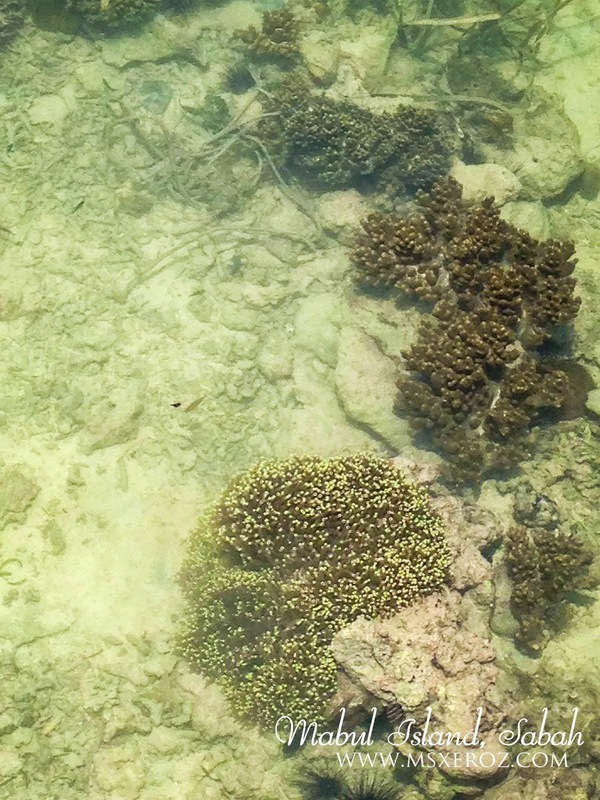 You can see the local kids were walking towards the ocean to dig for sea urchin and stuff like that. I am so afraid, thinking of the dangerous sea urchins. Those kids were really born to survive the nature! 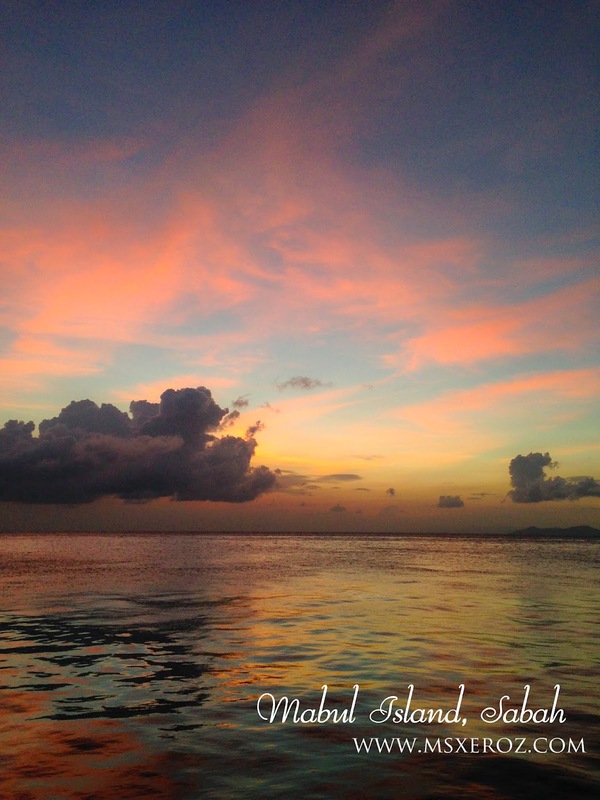 Sunsets are amazing as well. 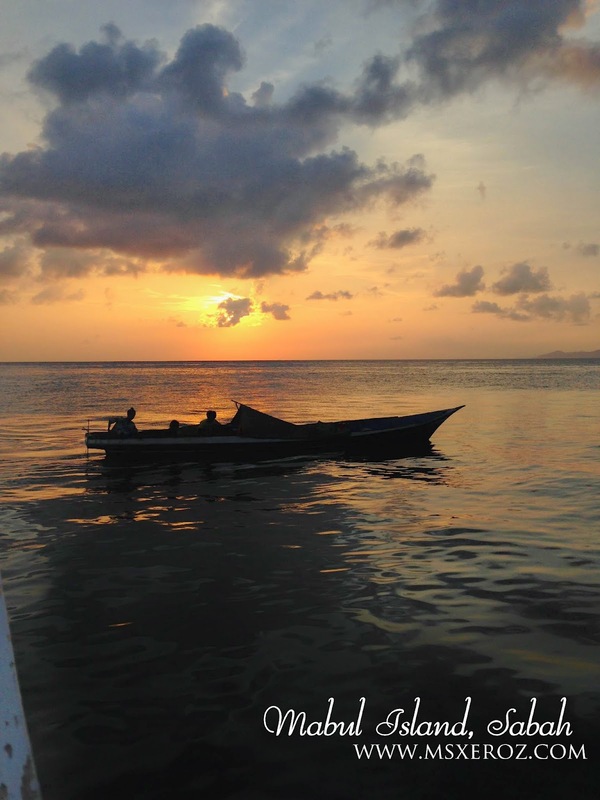 One moment, the sunlight will burst and be reflected onto the surface of the sea, creating a beautiful silky image. Who’s the FAIREST of them all?? ?” asks MsXeRoZ. You’ll never be the FAIREST, please don’t ask some more!” replies the mirror. *MsXeRoZ grabs the mirror and smashes it into a gazillion pieces! * NOOOOOOOOO!!! Sorry I had over-dramatize my lil' shred of imagination. I was frustrated. 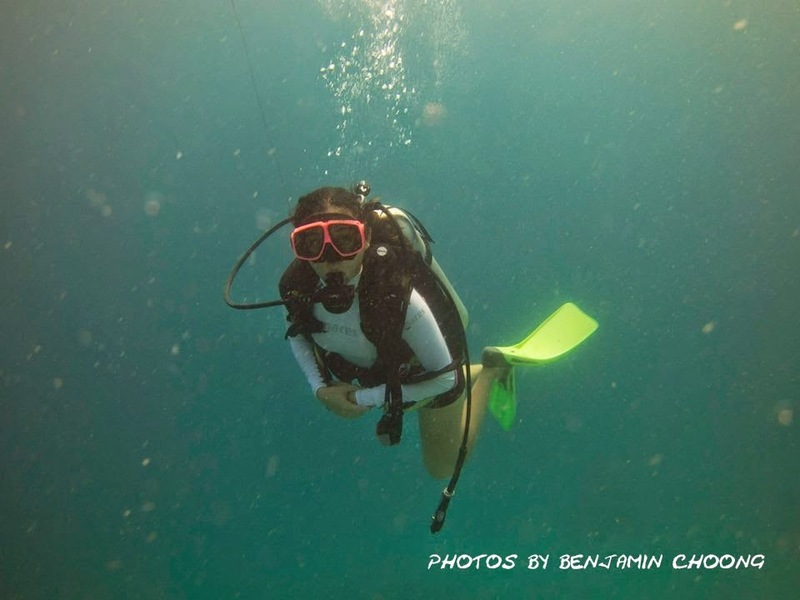 I went for diving in Mabul Island (check out my previous post here) and to my aghast, I was still tanned until today. I have not gotten any fairer although I had stayed out of the sun for a whole two weeks already! Look how dark I am now! 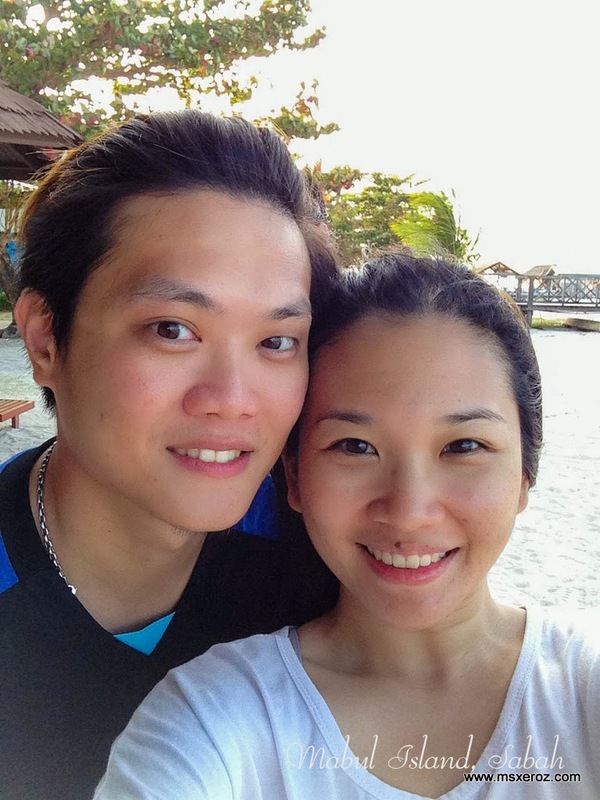 I think I have to go through vigorous whitening and skin pampering process before returning to my fairer complexion. 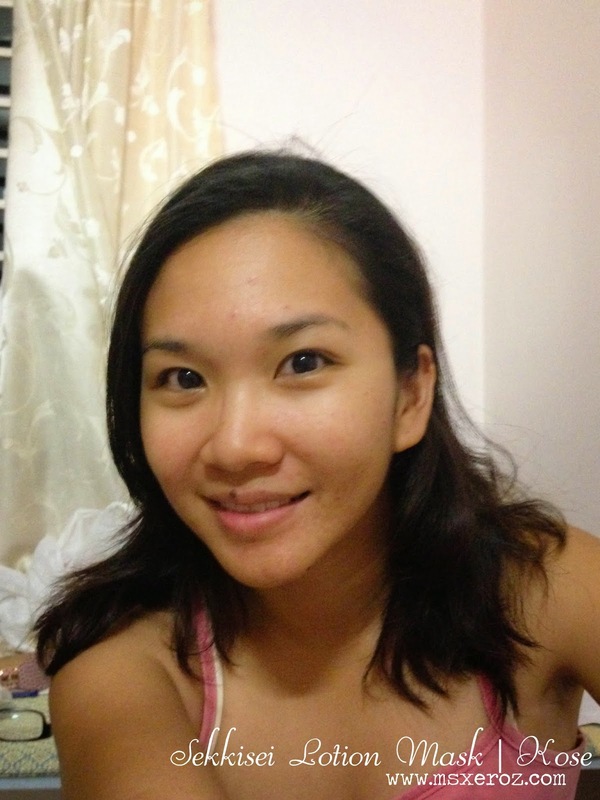 I'm originally not the snow-white person, but I do have the typical Malaysian-Chinese type of skin colour. Until this comes into my hand - KOSÉ Sekkisei Lotion Mask. I was really anxious to try whatever that can make my skin looks better, because being under the sun's radiation can cause bad things to happen to our skin. Dehydration, pigmentation, breakouts, uneven skin tones and gaaaahhh many many more! So, last night, I've decided to put faith into this pocket sized facial mask. Look how tired I am! I can't believed that I look dark and stiff in these photographs which I captured yesterday! *Emo* Gone were my youthful looks and radiant smile that melted the hearts of many! 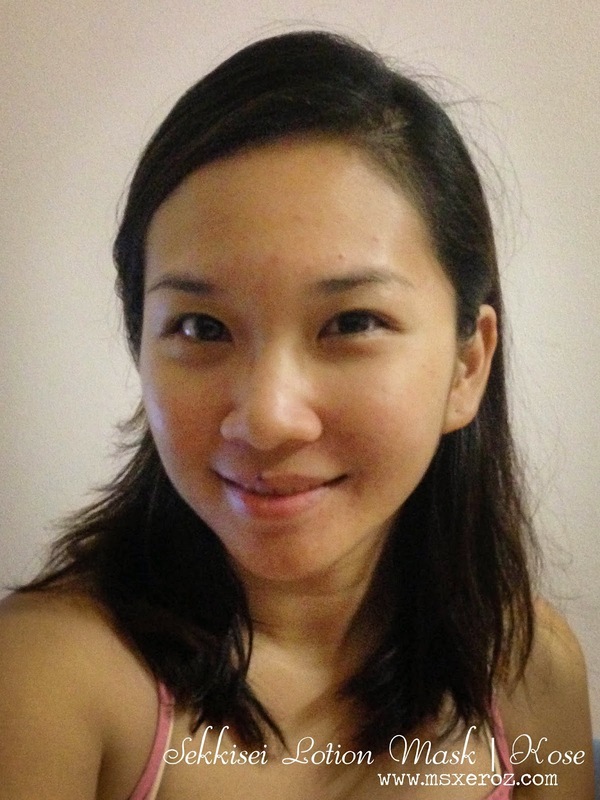 I am even more determined to take care of my appearance (while writing this blogpost). I flipped through the information written on the pocket pack before opening up the mask. Well, the wise always say, "Read and Understand before putting anything on your face." Ok I made that up, but hey, isn't it true? HAHAHA... You have to know and understand what type of masks and whether are their possible ingredients that will cause reaction to your skin! "Blends into the skin immediately, creating a plump texture. For hydrated, pure translucent skin." Sounds promising. So how does it work? It contains three (3) main oriental plant extract as ingredients: Coixseed, Angelica and Melothria. 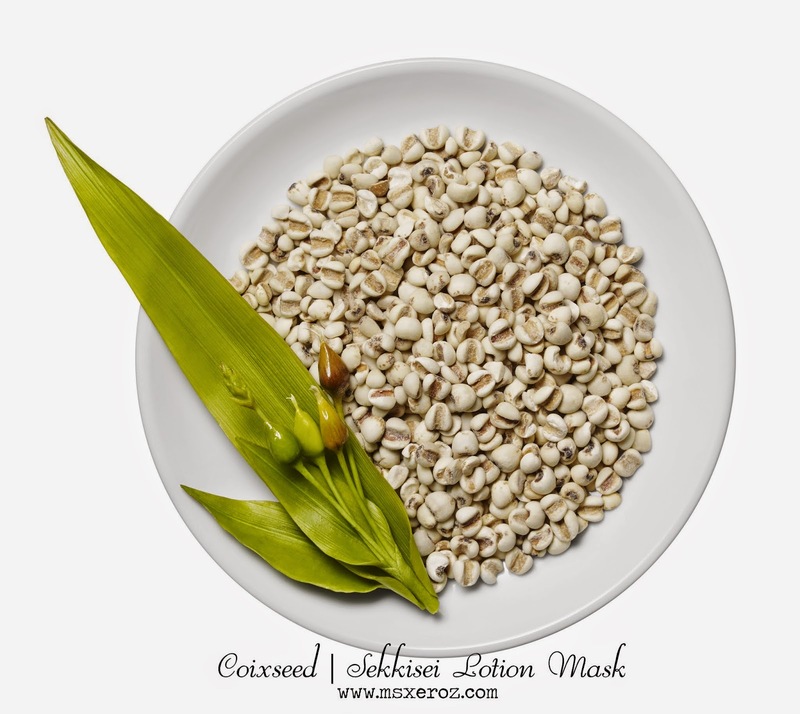 Coixseed - used for whitening, exfoliation, moisturizing our skin. 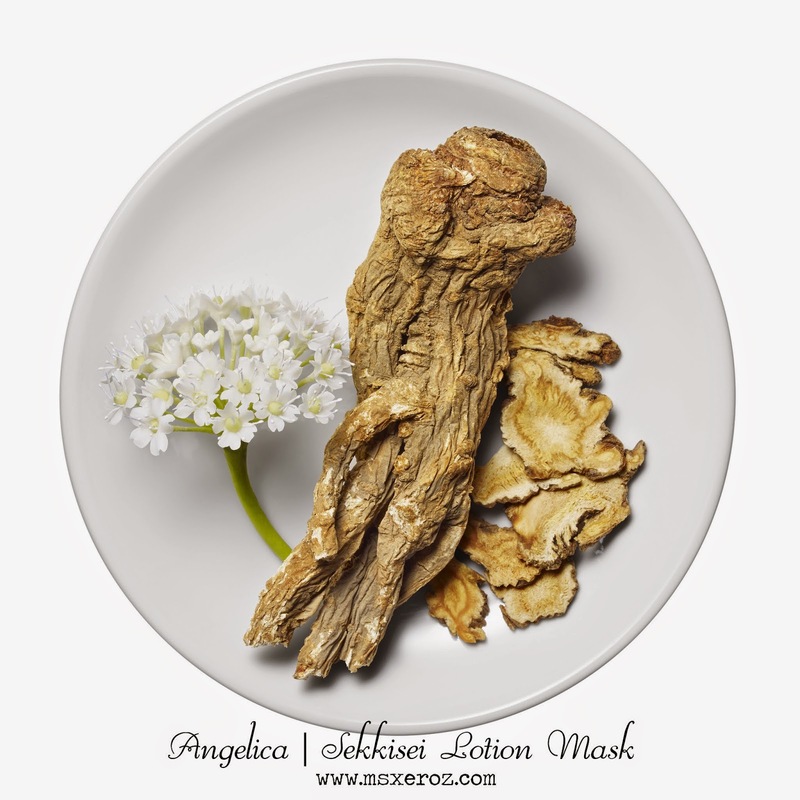 Angelica - used as skin disinfectant, moisturizing and whitening properties. Melothria (White Lotus) Extract- known to reduce melanin production, hence whitening effect. WOW~! All three main ingredients seems to have some whitening effect. I can't wait and so I put the mask on! Putting the mask on is really simple. You can do it even with your eyes closed. Step 1: Wash your face and tap it dry. Step 2: Open the pocket pack. Step 3: Take out the white layered paper-like thing from the pocket pack. Step 4: peel off or open the white layered paper-like thing. Oh, now you realise, that paper thing is your mask. Step 5: Close your eyes and match the holes of the mask to the socket of your eyes, and to the holes that matches your lips. Flatten the mask with your fingers. Try to spread it to cover as many surface area as possible. Step 6: Wait for 5-10 minutes. Lie on your bed/sofa, do not move around, take your time to relax. 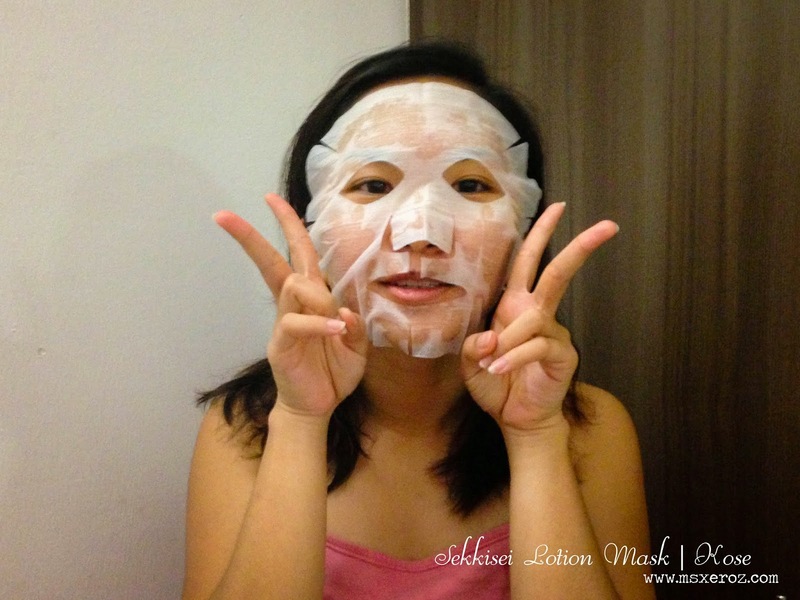 Step 7: Just peel off your mask. Tap the excess liquid onto your face. It's done! No rinsing is required! So it says that this Sekkisei Lotion Mask with the three key ingredients can help to restore and rejuvenate skin into a beautiful, translucent skin. It's a lotion, that is able to refine, hydrate our skin like 'snow white'! I'd be lying if I became 'snow white' after just one application. But look at the photo! Before application, my skin looks droopy, dark and tired. After lying on the bed with Sekkisei Lotion Mask, I had a little glow on my skin! 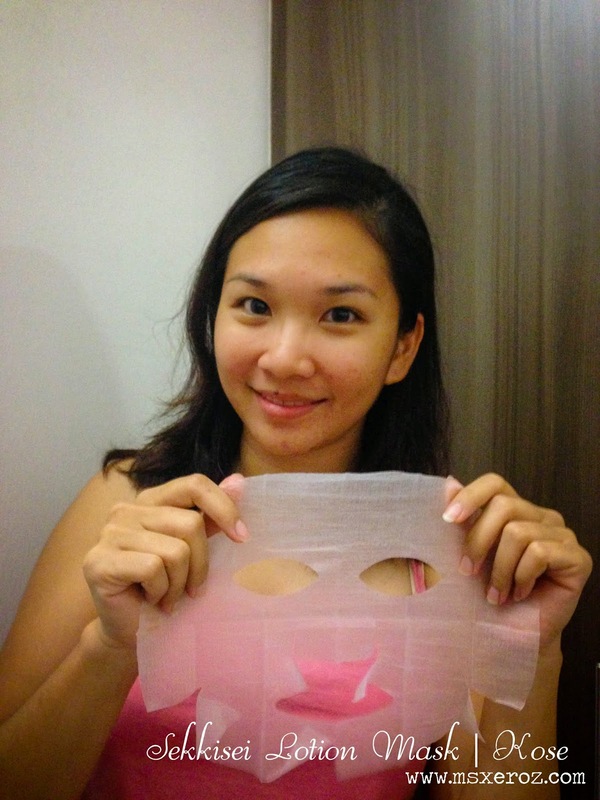 The mask is not thick and it absorbs quickly into your skin. The application is as easy as ABC. If you would like to purchase KOSÉ Sekkisei Lotion, you can find their nearest outlets from the KOSÉ Malaysia Facebook Page, or Sekkisei Lotion Facebook Page. I may not be a Cinderella, but I can be your Fairy God Mother (imagines myself as a plump old lady with wings and a wand). I can grant your wish to be fairer! I’m not joking here! 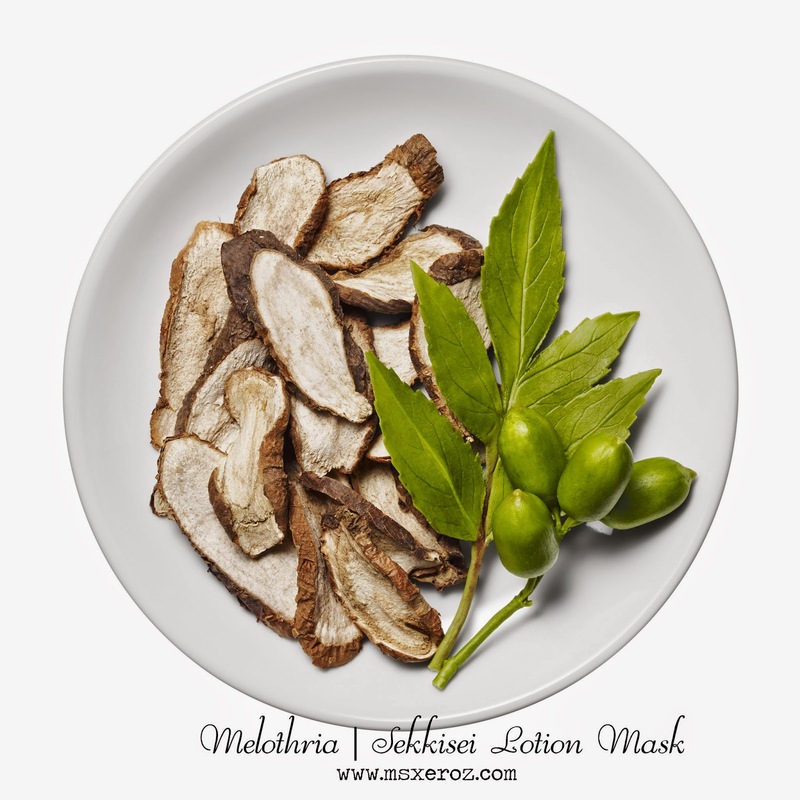 1) What are the three (3) main ingredients in KOSÉ Sekkisei Lotion Mask? 2) Name one (1) of the benefits of applying the KOSÉ Sekkisei Lotion Mask. I don't have a photo of a sloth so I put up a raccoon instead! How often do you see cicaks (lizards) crawling out of your office phone? How often do you wake up on a Sunday morning and found that something is dead in the living room, filling it with some corpse-like stench, and then you dig and search and found a crunchy cicak near the main entrance? How often do you be home alone in the house and you heard someone sniffing twice but to find that THERE'S NO OTHER PERSONS BESIDES YOURSELF? How often that a pimple grows below your nose and above your lips that it's so painful even before it blooms? With so many extraordinary things that happens to me, I doubt that I will run out of ideas to blog about! *flips hair* But the true dilemma was to sit down and type what that has been going on my minds as compared to just typing out via mobile phone. I am currently in love with #Dayre. Yes, please follow me or add me at @msxeroz. [Warning: My Dayre will be filled with Vulgarities and Bitching. So if you have a faint heart, PLEASE stay away from my Dayre. kthxbai]. 1. 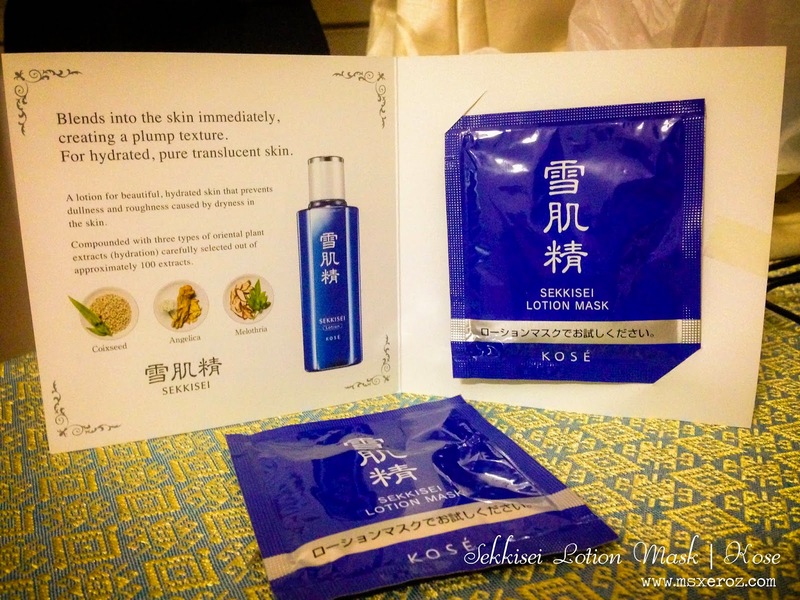 Upcoming blogpost: Product Review and Blog Giveaway - Kose Lotion Mask! 3. 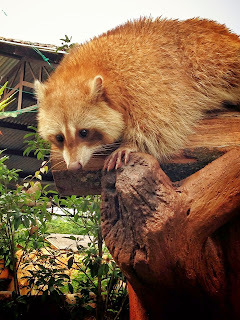 A day in Farm In The City, Sri Kembangan.